So, last week I made my first button bowl! The goal of this blog is to provide inspiration, tips, and instructions. I&apos;m currently taking craft and recipe challenge requests from my Instagram and Facebook followers. I want to show that with some inspiration, instructions, and lots of practice we can do MOST things we set our mind to in life. After posting about using Elmer&apos;s Glue to make my yarn balls, one of my followers on IG asked me to try and make a bowl out of buttons using a balloon. 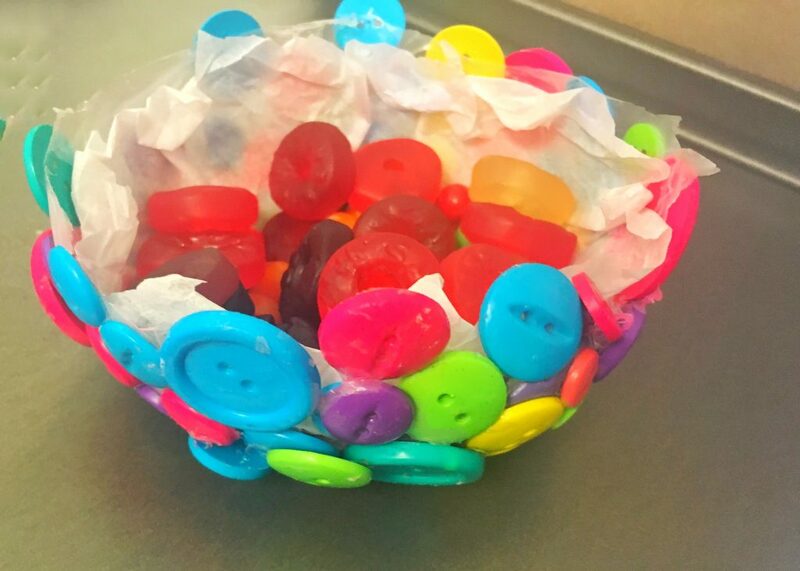 Now, I had never heard of a bowl made of buttons, especially not using a balloon. So, I went to work to find out how I could make this. After some research on Pinterest, I was able to create my own bowl out of buttons. My kids were able to help me with the craft challenge and they had a lot of fun making it. The craft is as easy as it sounds. 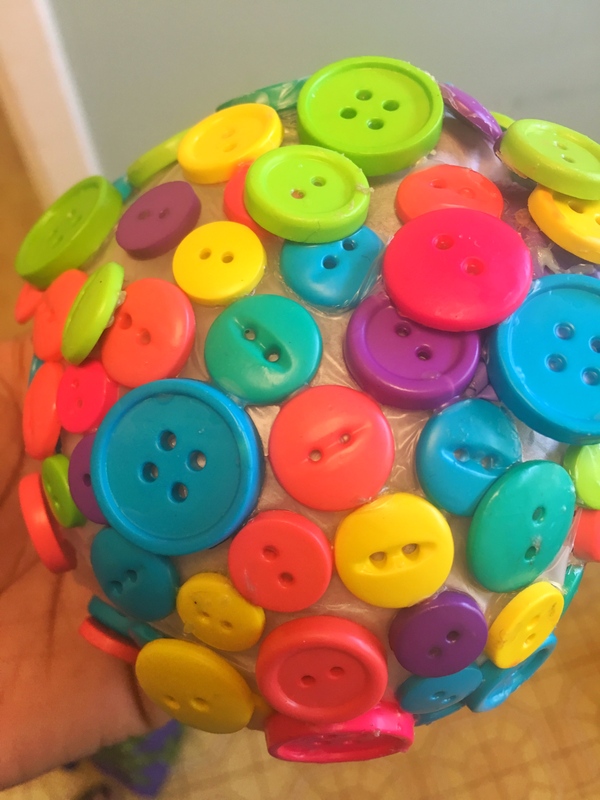 You take a balloon, cover it with glue, then glue on buttons. After sitting over night you pop the balloon and you have a bowl made of buttons being held together by Elmer&apos;s glue. The kids and I decided to make a small bowl to be a candy dish. We blew up the balloon just half way. The size of the balloon will determine the size of the bowl. 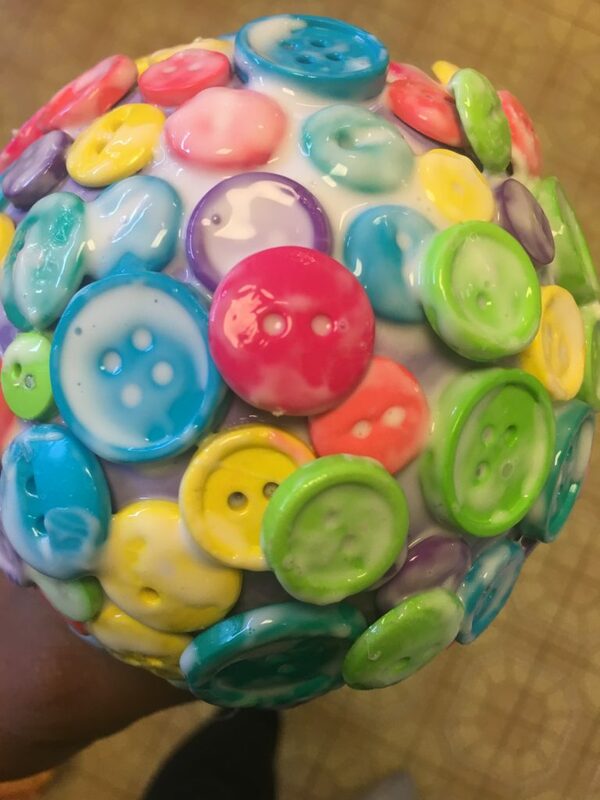 My daughter wanted the bowl made with very colorful buttons. The nice part about this craft is that there are so many button colors and sizes available, that you pick whatever style you&apos;d like your bowl to be. 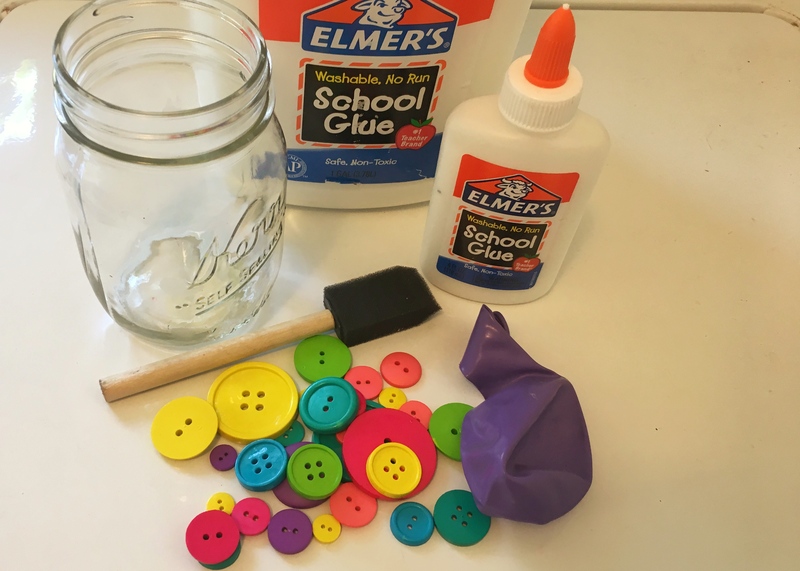 4 oz of Elmer&apos;s Glue (amounts vary based on the size of the balloon). I use so much glue for crafts, I recommend the gallon size. Blow up a balloon to the size that you want your bowl to be. My bowl was 5 inches in diameter. Tie the balloon. With a paint brush apply glue over the area of the balloon that you will be putting buttons on. I did the entire top of the balloon and 2 inches on all sides. It&apos;s very important to make sure you&apos;re applying Elmer&apos;s glue evenly so that your bowl is shaped properly. Elmer&apos;s glue will dry clear. Let balloon dry for at least 4 hours. 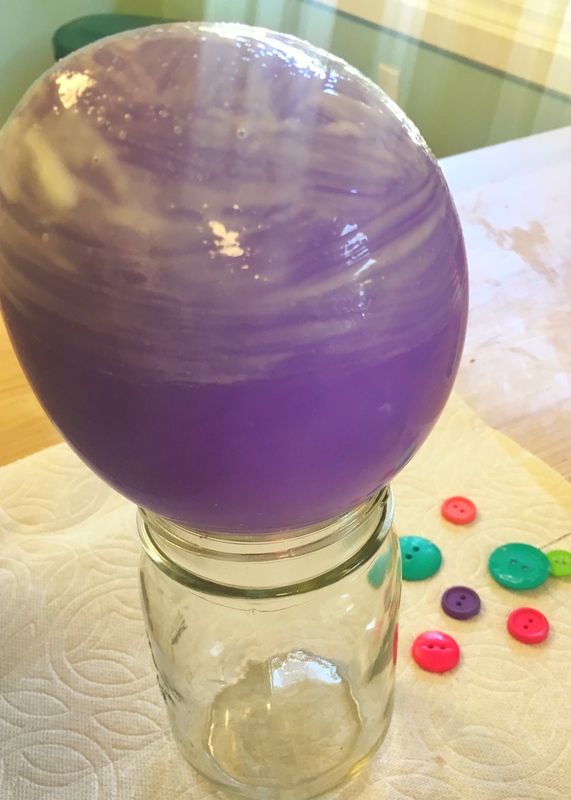 After the glue has dried on the balloon (glue will be clear). 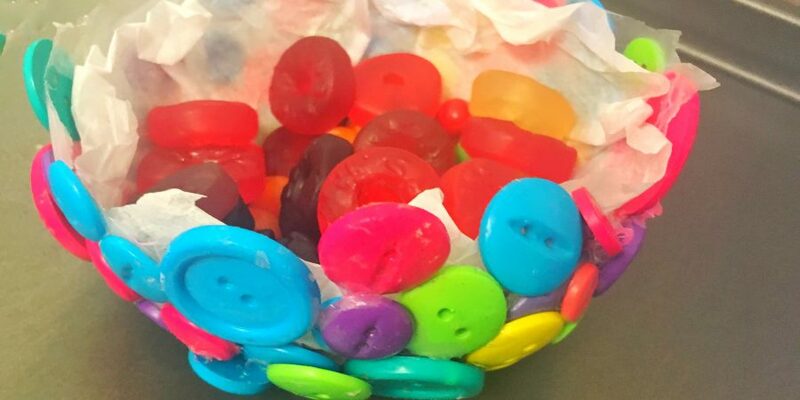 Using the paint brush, rub glue all over the balloon again and start placing your buttons on. Start at the top and work your way down. I learned the hard way the importance of making sure there are NO gaps in buttons. Gaps in buttons mean your bowl will have holes. Please note: Big buttons tend to slide, due to gravity. It&apos;s best to have big buttons on top and smaller buttons on the side. If you have gaps you can glue buttons on top of other buttons to fill in the holes. 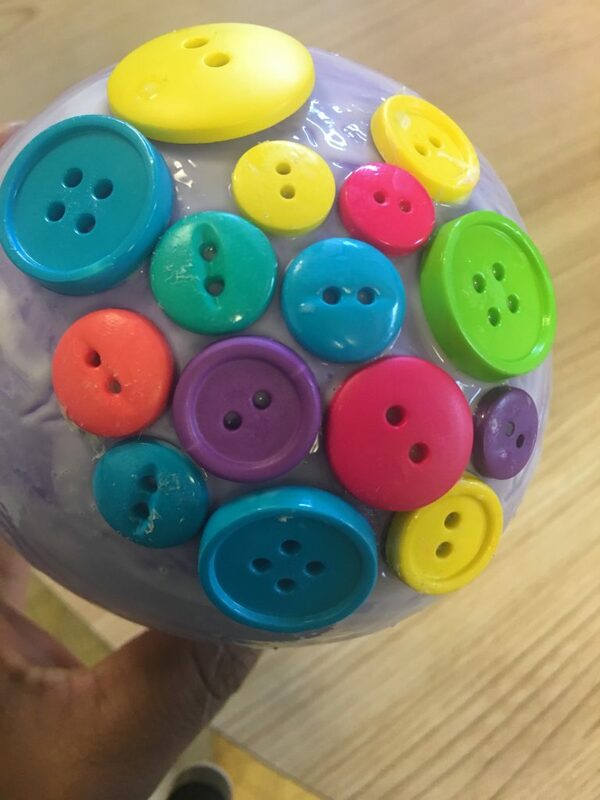 After all the buttons are on the balloon, take the paint brush and apply glue over all buttons to ensure they stick. 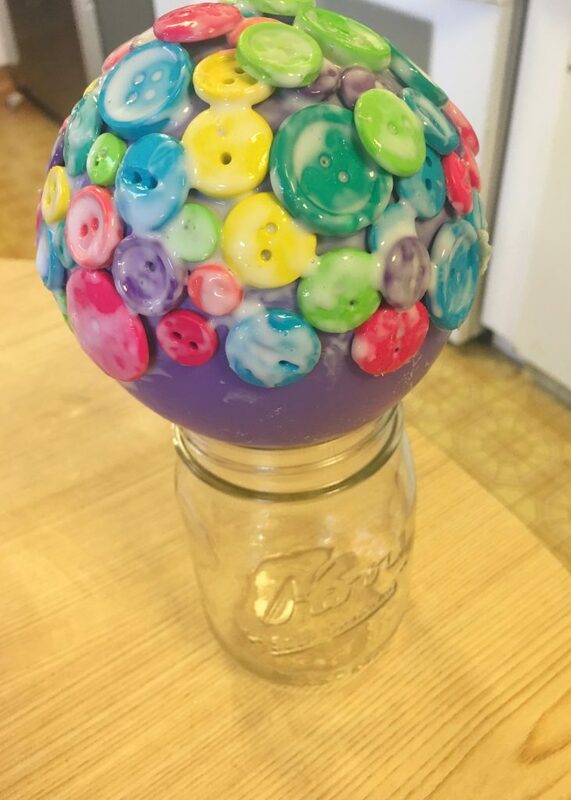 Let the buttons dry for 12 hours on the mason jar. Check on the balloon during the first hour to make sure all buttons stayed in place. 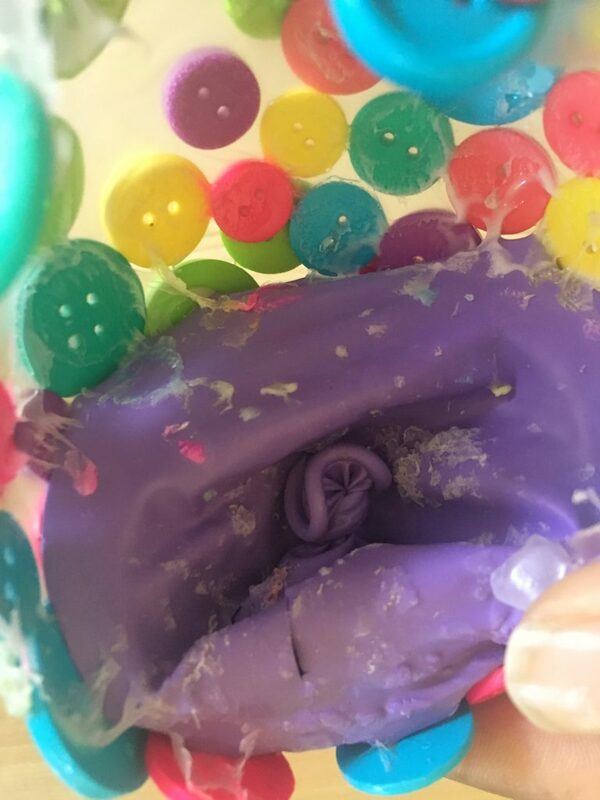 If buttons have slid down the balloon, add more glue to hold them in place. The big moment! Take the balloon off of the mason jar and pop it! Carefully, remove the balloon. Make sure you don&apos;t pull any buttons off with the balloon. Enjoy your new button bowl! I lined my bowl with tissue paper and the kids put some candy in it. I was happy to accept and complete my button bowl challenge. The bowl is actually quite sturdy and the Elmer&apos;s glue liner inside does a great job of holding all the buttons together. Have a craft or recipe you&apos;d like me to try? Please comment below or reach out to me on Facebook, Instagram or Twitter to complete the challenge. Or just follow me to see the future challenges I complete. Omg! Too cute. My 4 year would love this! I’m pretty sure I have the supplies already. Thanks for the inspiration. I love this DIY! I have to try it!